Sighting one of the most gracious yet fearsome wildlife creatures, the Royal Bengal Tiger is an unforgettable experience. 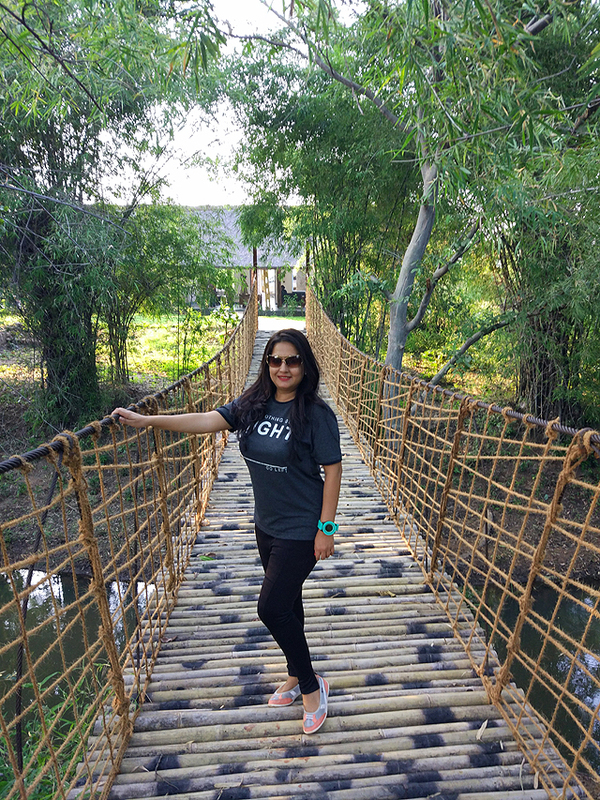 Having experienced summer in London & Edinburgh, explored forgotten castles in Kutch, sipping on homegrown wines at vineyards under glorious sunshine, we craved some real adventure! And nothing beats the thrill of spotting the majestic cat in its natural habitat. We decided to plan a trip to Tadoba National Park, Maharashtra's oldest and largest National Park and home to the Royal Bengal Tigers. Located in Chandrapur district, Tadoba has quickly gained popularity due to its high density of tigers. 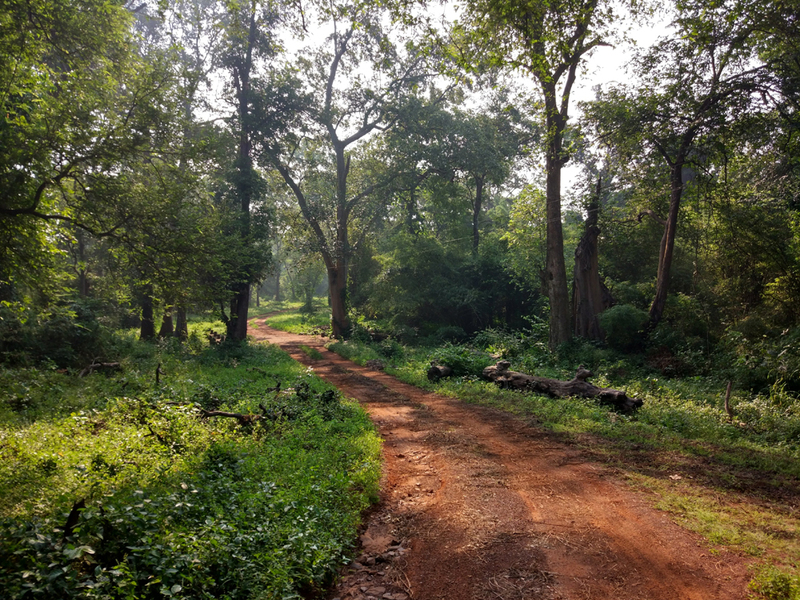 Dominated by teak and bamboo, Tadoba National Park was created in the year 1955. 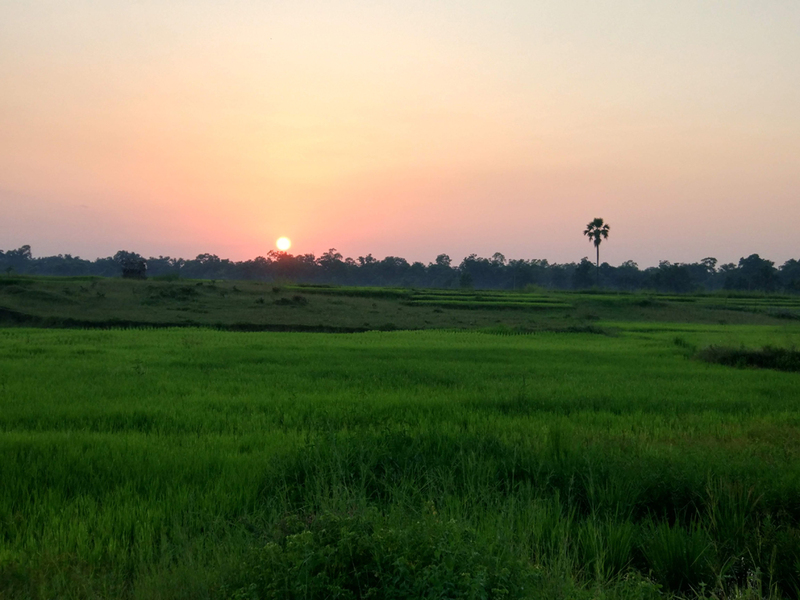 The year 1986 saw the formation of Andhari Wildlife Sanctuary which was amalgamated with the park in 1995 to establish the present Tadoba Andhari Tiger Reserve. The reserve is home to diverse wildlife and animals like Chital, Sambars, Barking Deer, Sloth Bear, Indian Bison, Wild Boar, Leopard and more. 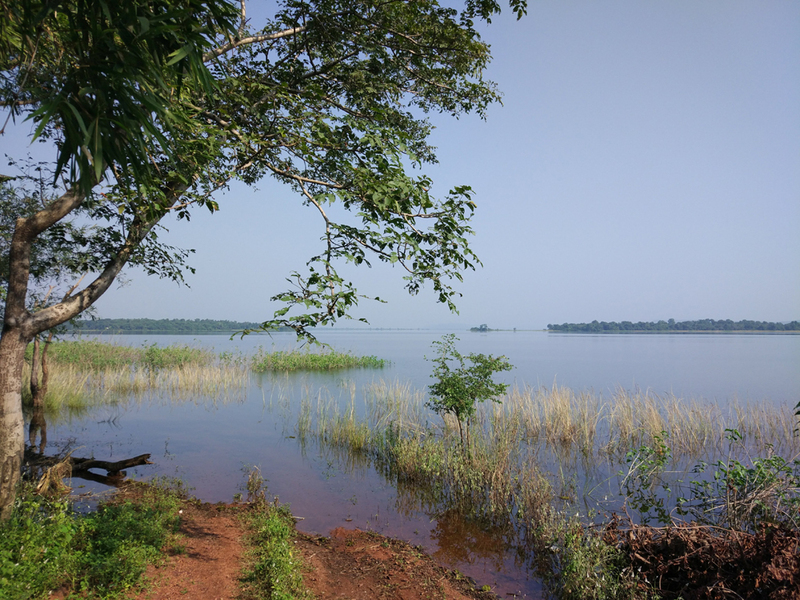 The reserve also enjoys vast diversity of flora and fauna along with approximately more than 200 species of birds and a large number of summer and winter migratory birds. On one of the safari's we spotted the Grey-headed Fish Eagle as it loomed protectively around its nest, the Golden-backed Woodpecker tapping away on a tree trunk and many peacocks. It was fun to watch the feisty Drongo bird- a black bird with red eyes and forked tail harass an Eagle without any fear. 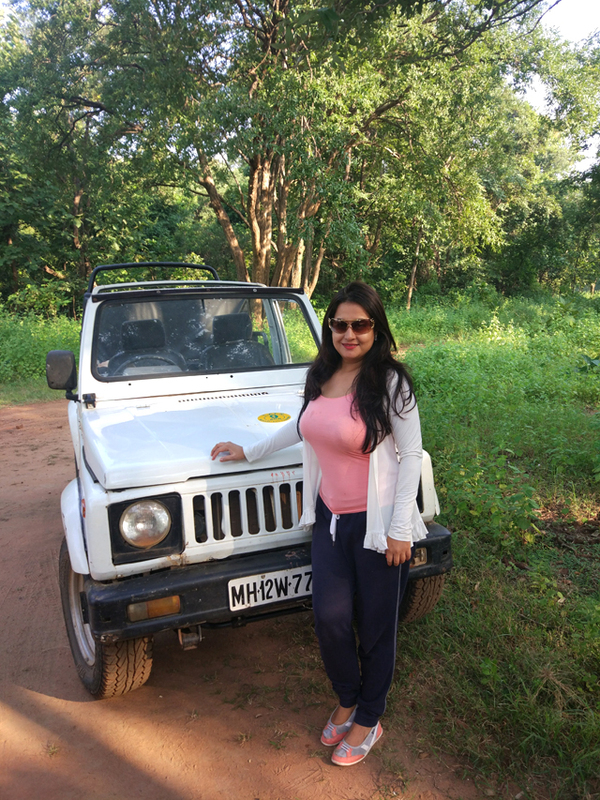 The tiger safari (jeep safari) in Tadoba is an enchanting and memorable experience for adventure lovers, nature enthusiasts and wildlife photographers. The jeep safari done with help from in house naturalists, offers a wide view of the natural habitat of the Royal Bengal Tiger and other animals in the wild. If one is lucky, they can sight the majestic cat casually cross paths with cubs in tow!!! Spotting a leopard lounging overhead on a tree though rare is also possible. 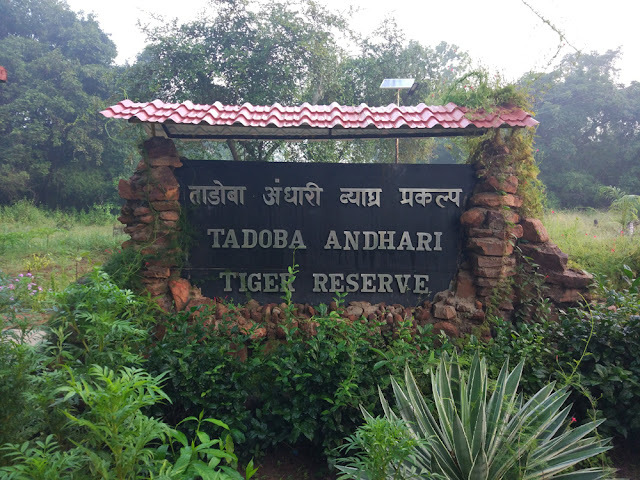 Tadoba National Park can be easily accessed by Nagpur airport from where one hire a cab to Chandrapur. The nearest railway station is at Chandrapur. Guests can enjoy Safari from 15th October to 30th June every season. Morning Jeep Safari Timings: 6.00 a.m to 10.00 a.m.
Advance booking is recommended. Visit the DFO Office at Chandrapur District near the tiger reserve to book as no online booking facility is available at the moment. Take help from your accommodation to secure a spot. The summer months from March to June are best for sightings but the hottest in Tadoba and one needs to be extra careful with the heat. 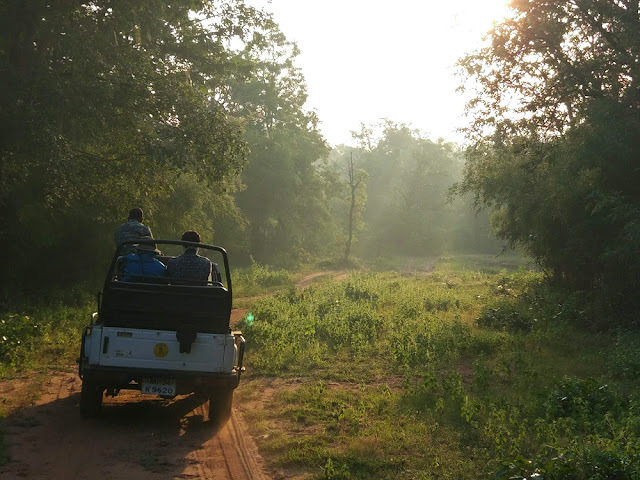 Winter season from October to February the best time to visit Tadoba National Park as the temperatures cool down and the safari is most enjoyable. Post monsoon the jungle becomes lush green and is filled with flowers. Carry Sunscreen, protective layers of clothing, comfortable footwear, sunglasses, hats/scarves, insect repellent and water for the safari experience. An adventurous holiday needs a relaxing stay. From budget options offered by MTDC & Forest Development Corporation of Maharashtra, Tadoba also offers luxury stays. 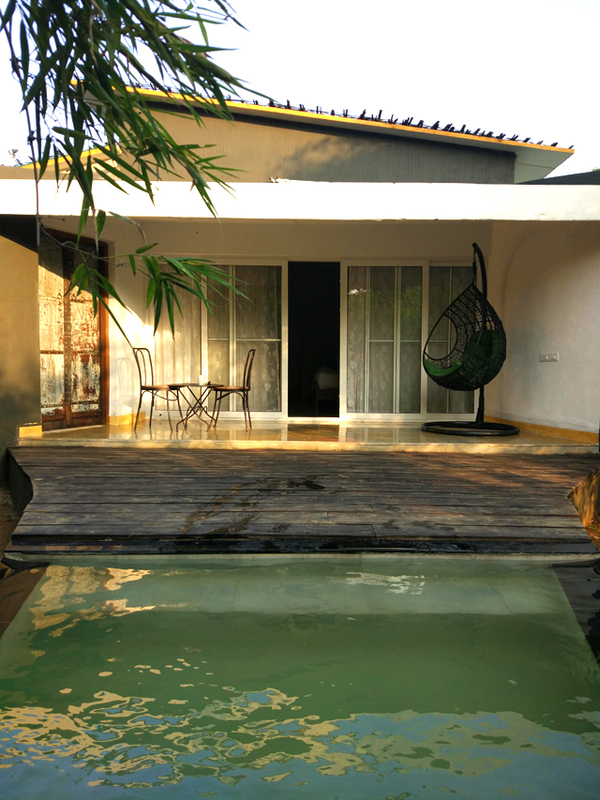 We stayed at Red Earth Tadoba that offers comfortable stay in cottages with private wade pools and a sit out area. The resort located near Zari Gate is spread across 15 acres and exudes rustic charm. Visit the many temples that surround the National Park. Absorb the blissful silence of a forest night and observe stars under a clear night sky. There is not much to do during late evenings, so take the opportunity to enjoy quiet time with loved ones. Opt for a Guided Nature Walk if your accommodation facility offers one. Unfortunately, due to poaching and habitat loss, the Royal Bengal Tiger are an endangered species. If we don’t act now the tiger could be extinct from the wild by 2035. The numbers are fast diminishing and if you want to do your bit, check the work done by WWF India and how you can contribute to the cause.